Rite Aid’s RediClinic opens new clinics in N.J.
TOMS RIVER, N.J. — RediClinic has opened six new retail health clinics inside Rite Aid drug stores in eastern New Jersey with partner Hackensack Meridian Health. The new RediClinics — in Toms River (two locations), Belford, Little Egg Harbor, Neptune and Old Bridge, N.J. — were officially launched Monday in a grand opening event in the Rite Aid pharmacy at 220 Route 70 in Toms River. On hand at the ribbon-cutting ceremony were RediClinic chief executive officer Web Golinkin and chief operating officer Danielle Barrera, along with Hackensack Meridian Health officials and representatives from Rite Aid Corp., the parent of RediClinic. 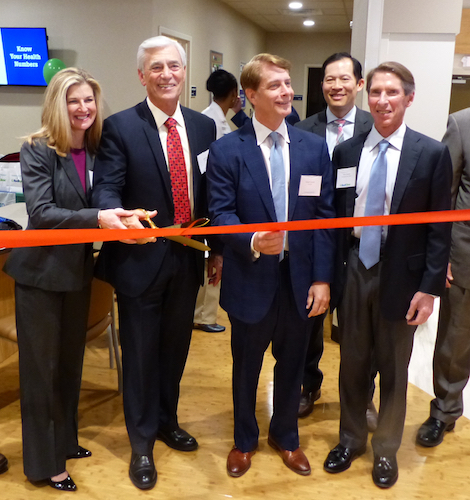 The six RediClinics are part of a joint venture announced last August with Hackensack Meridian Health, a New Jersey health system. 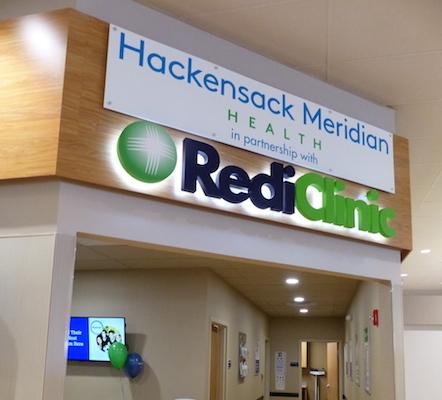 The companies said at the time that plans call for 10 clinics — to be called Hackensack Meridian Health RediClinics — to be opened in Rite Aid stores in Middlesex, Monmouth and Ocean counties in New Jersey. Three of those RediClinics already had been opened in Highland Park, Marlboro and Red Bank, N.J. Another is due to open soon inside a Rite Aid store in Spring Lake, N.J., which would be the 100th RediClinic location. “It’s a great pleasure to welcome everybody today to the grand opening of this new RediClinic in this very attractive Rite Aid store in Toms River,” Golinkin told attendees at the event. At the RediClinic convenient care clinics, Hackensack Meridian Health nurse practitioners can diagnose, treat and prescribe medications for more than 30 common health conditions, such as upper respiratory infections, flu, strep throat and ear infections, among others, Barrera said. Also provided are a menu of preventive services, including health screenings, medical tests, immunizations and basic physical exams, including back-to-school and sports physicals. The nurse practitioners are supported by medical attendants and Hackensack Meridian physicians, she said. RediClinic COO Danielle Barrera, Hackensack Meridian Health co-CEOs John Lloyd and Robert Garrett, and RediClinic CEO Web Golinkin cut the ribbon at the grand opening of the new RediClinic in the Rite Aid pharmacy on Route 70 in Toms River, N.J. The Hackensack Meridian Health RediClinics are open seven days a week, including extended weekday hours. Patients can been seen on a walk-in basis or schedule same- or next-day appointments from their desktop computer, tablet or mobile device. Executives said they expect to open more Hackensack Meridian Health RediClinics down the road, given the partnership’s success thus far. Hackensack Meridian Health’s network includes 13 hospitals, along with physician practices, more than 120 ambulatory care centers, surgery centers, home health services, long-term care and assisted living communities, ambulance services, life-saving air medical transportation, fitness and wellness centers, rehabilitation centers, and urgent care and after-hours centers. The system has more than 6,000 physicians. RediClinic now operates 63 clinics inside Rite Aid stores in the greater Philadelphia, Baltimore/Washington D.C. and Seattle areas as well as in New Jersey. It also operates 36 clinics inside H-E-B supermarkets in Houston, Austin and San Antonio, Texas. *Editor’s Note: Article and photos updated.